Newport Jazz Festival® Announces First Wave of Artists | Coming Aug. 3rd-5th, 2018 - TheUrbanMusicScene.com | Concerts & Festivals! Tickets go on sale today at 10:00 am (EST) at www.newportjazz.org. The partial lineup features some of the best in traditional and modern jazz, including Charles Lloyd’s 80th Birthday Celebration featuring three different groups; Andra Day; Living Colour; Artemis featuring Cécile McLorin Salvant, Renee Rosnes, Anat Cohen, Melissa Aldana, Ingrid Jensen, Noriko Ueda and Allison Miller; Rudresh Mahanthappa Indo-Pak Coalition; Mary Halvorson’s Code Girl; Michel Camilo; James Carter Organ Trio; Jazzmeia Horn; and Matthew Shipp Trio. 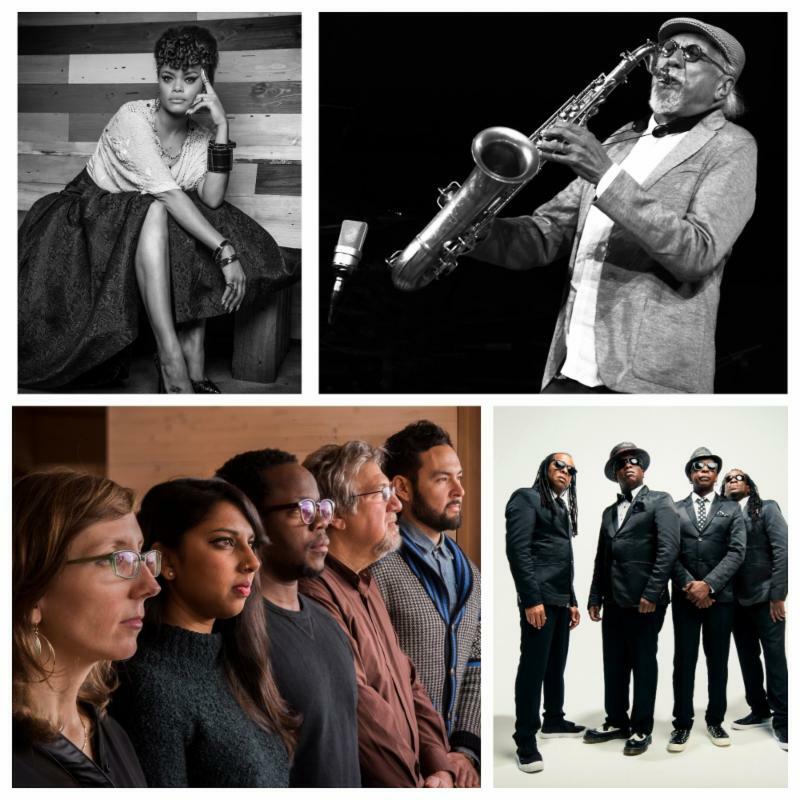 “Last week we dished up the first taste of artists playing the 2018 Newport Jazz Festival when we announced Charles Lloyd’s 80th Birthday Celebration through The Wein Machine and social media,” said George Wein, Chairman of Newport Festivals Foundation and Festival creator. “It’s a pleasure to work with Christian McBride in his second year as the Festival’s Artistic Director and with Executive Producer Jay Sweet to continue the legacy of Newport Jazz. Over the coming weeks, we will introduce concerts by a diverse group of new faces along with some familiar faces, which will give music fans a general idea of the direction Jazz is going. “One of the hits of the Festival,” says Wein, will be the all female group Artemis. Rudresh Mahanthappa returns to Newport with his group Indo-Pak Coalition. “He is one of the musicians whom we have had the opportunity to build and watch grow, and he is now one of the major figures in jazz,” said Wein. A Newport staple, Michel Camilo, “always brings so much happiness to everyone who hears him,” says McBride. It’s no surprise that the piano player in George Wein is looking forward to hearing music from Camilo’s recent solo album, which was recorded in London. While Mary Halvorson is a member of the new avant-garde, Matthew Shipp represents the “old avant-garde,” said Wein, and McBride calls Shipp “an interesting thinker” whose music “always moves” him. Natixis Investment Managers is the Presenting Sponsor of the 2018 Newport Jazz Festival and sponsors programs that help enrich the lives of individuals and preserve the cultural experience for future generations through music. General Admission tickets for all Fort Adams events also can be purchased in person at the Newport Visitors Information Center at 23 Americas Cup Avenue. Log on to www.discovernewport.org for office hours and information. Local discounts offered. No service charges apply. Artists and ticket on-sale date for the Friday, August 3, 8:00 pm concert at the International Tennis Hall of Fame at the Newport Casino will be announced in February. Visit www.newportjazz.org, www.newportfestivals.org or e-mail the Festival team at jazztickets@newportfestivals.org for additional information. The Newport Jazz Festival®, Newport Folk Festival™ and Bridgefest® are productions of Newport Festivals Foundation, Inc., a 501 (c) (3) non-profit corporation, duly licensed. All rights reserved.